Join us on January 16th, 2019 for the first EP meeting of the new year. Jennifer's talk will focus on the basics of preparation of geohazard and geotechnical reports for CGS review and approval for school and hospital work. New construction at schools and hospitals in California must conform to unique building standards and permitting/inspection processes. Among the documents submitted for building permits for these facilities are geologic hazard and geotechnical reports, possibly prepared by CalGeo Emerging Professionals. California Geological Survey (CGS) is contracted to review and comment on these reports, and to advise the permitting authorities as to whether building code requirements have been met and the geologic hazards fully characterized. On January 16, Jennifer Thornburg and CGS staff will discuss what should go into site investigations and geologic hazard/geotechnical reports for these projects. While CGS only reviews reports prepared for school and hospital sites, the standards applied for these sites inform expectations for all projects in California. Jennifer Thornburg is currently coordinating the hospital and school review program at CGS. 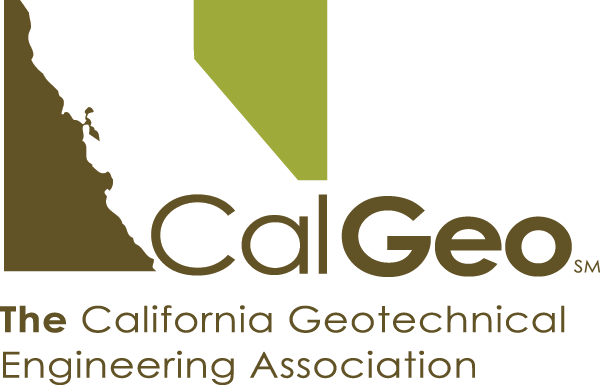 Her group performs technical reviews of engineering geology reports prepared by consultants to ensure that the reports adequately address the requirements of California Code of Regulations, Title 24 (2016 California Building Code), and that any geologic hazards relevant to the site are recognized and mitigated. Jennifer has a Masters of Science in Earth Sciences from the University of California, Santa Cruz, and 9 years of experience in consulting. For the past 17 years, Jennifer has worked at the California Geological Survey, performing both landslide mapping and hospital and school reviews. Meeting will start at 6:30pm with an informal dinner followed by Jennifer's presentation at 7:00pm.